In 2015 Glycine introduced a new version of its Airman No. 1 timepiece featuring a smaller 36 mm diameter case, the same size of the 1953 original which was the first 24-hour watch in the world to feature a second time zone. 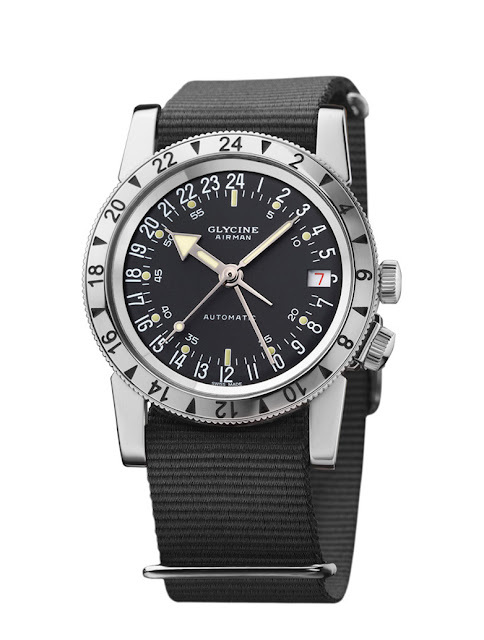 Offering the possibility to set three time zones, the new Airman No. 1 features a robust stainless steel case with rotating bezel which frames a double 24-hour display with a red date indication at 3 o'clock. The vintage look is enhanced by the domed Plexiglas. 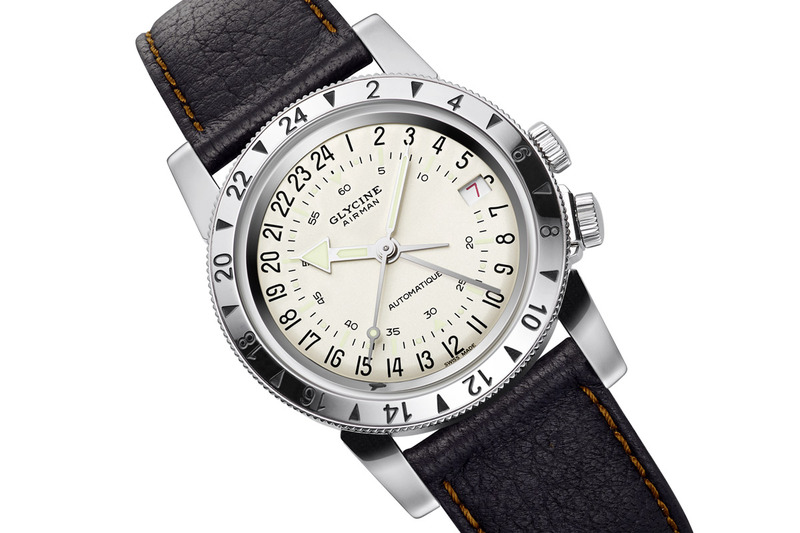 Water resistant to 100 metres, this classic pilot watch has a screwed solid case back. The Airman No. 1 is powered by the automatic GL 293 calibre based on the ETA 2893-2 beating at 28,800 vph and offering a power reserve of 42 hours. Glycine - Airman No. 1 36 mm. 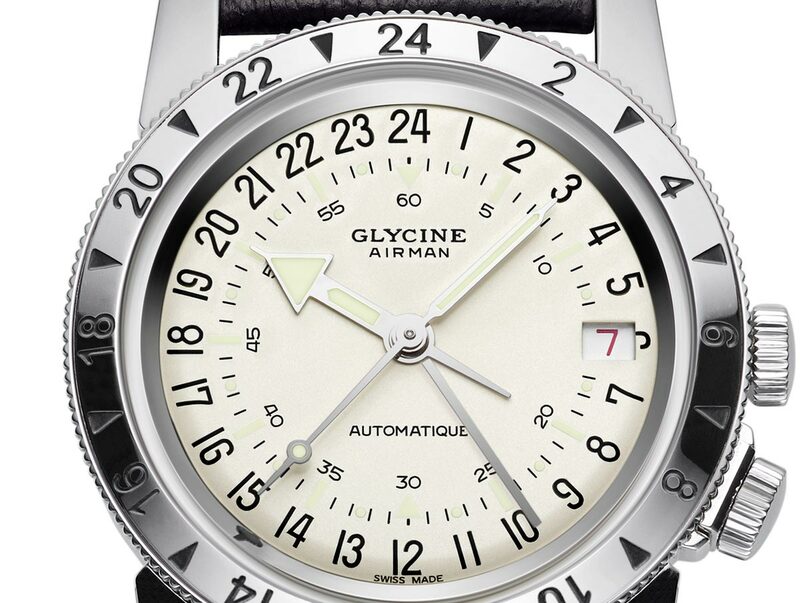 Glycine Airman ONE. 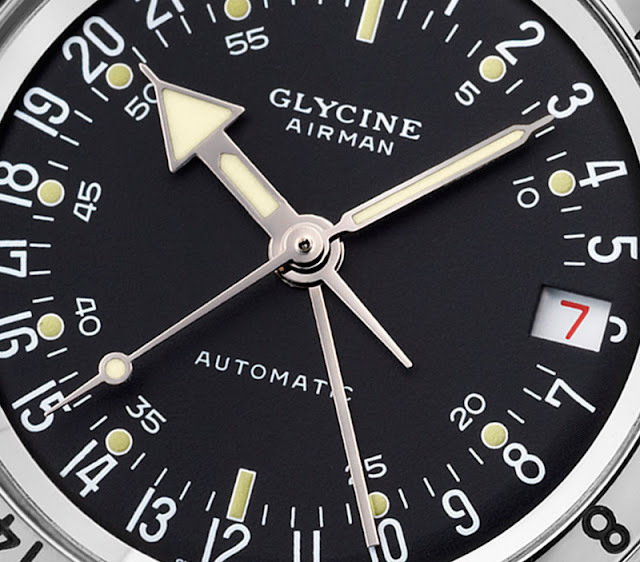 In 2015 Glycine introduced a new version of its Airman No. 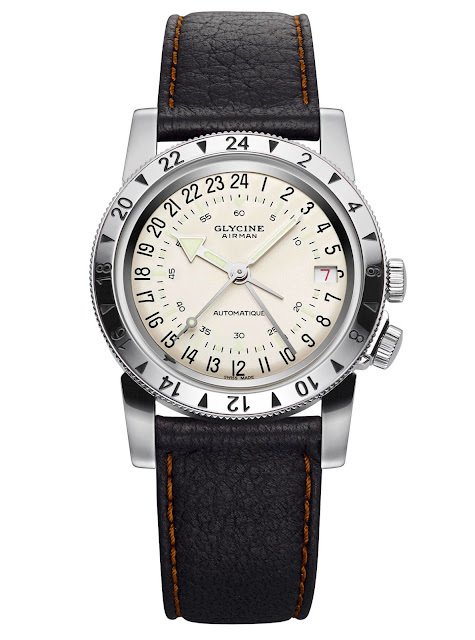 1 timepiece featuring a smaller 36 mm diameter case, the same size of the 1953 original which was the first 24-hour watch in the world to feature a second time zone. The Glycine Airman No. 1 is available with a cream (ref. 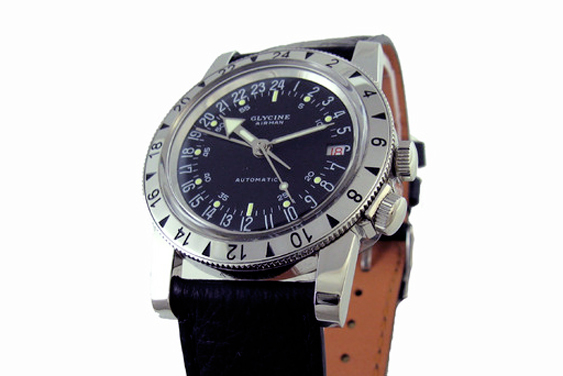 3944.11.LB77U) or a black (3944.19.LB99U) dial and has a retail price of Euro 1,750,00 / US$ 2,600,00.